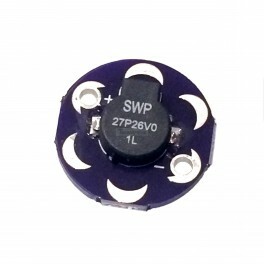 This little buzzer is great for adding a bit of audio to your projects. Sew through the holes on top and bottom using conductive thread and attach to a Lilypad USB or Lilytiny for easy buzzing sounds! No soldering required! NOTE: Avoid washing as this buzzer is not machine washable.